Frank Bonacquisti started out in Portland radio at 16 years of age. He first went on the radio in Bend in 1977 as "The Count." He hosted the KBND Morning News from 1990 - 1995, then again 1997 - 2005 and now, back again, for good this time, since 2010. In between he has been on the radio and worked as a professional voice talent, among other things, from Portland to Palm Springs and on the island of Maui. Frank sees himself as the Master of Ceremonies for the Morning News, a fast-paced 4-hour block of full-service news and information. Like he'll tell you, he's not a newsman, he just plays one on the radio. He's actually a News Personality and has had great success with endorsements for many clients. Frank and "the Countess" married in Bend in 1978 and enjoy taking their 3 grandsons to enjoy the beauty of Central Oregon. Heather Roberts fell in love with radio news when she created her first newscast at the ripe old age of seven. A native Oregonian, Heather graduated from Emerson College in Boston and returned home for her first news job at KATU in Portland. 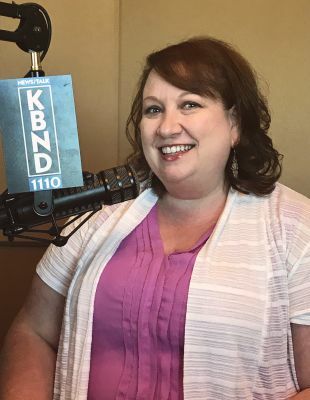 After stints as a 911 dispatcher, banker and stay-at-home mom, Heather returned to the newsroom as a reporter and anchor for KFXO-TV in Bend, and later served on the inaugural news team at KOHD-TV. She joined the KBND News team in October 2014. Heather and her husband moved their two kids to Redmond in 2006. She has deep ancestral roots in the High Desert and loves everything about the region, including hiking Smith Rock, running in the Dry Canyon and taking advantage of the great weather. Follow her on Twitter: @KBNDHeather. Danise Lee started in radio as a disc jockey for KTIL in Tillamook, on the Oregon coast, while still in high school. Through the years, she's worked through TV and print, including a stint as a political correspondent for KOIN-TV, before returning to her first love of radio. After college, Danise moved to Bend in 1997 to join her husband, a custom home designer and builder. Over the last 10 years, she's written several novels, published an inspirational study for women and released screenplays for the Lifetime Movie Network. She joined KBND as a news reporter in June of 2017. Troy Reinhart provides perspective and insight into the day's financial news, weekday mornings at :25 and :55 past each hour. Troy grew up in Bend and earned his Bachelor degree and Masters Studies at Oregon State University (Economics and Forestry). He then spent nearly 20 years managing manufacturing facilities for Louisiana Pacific and Fortune Brands Corporations along with a stint as a lobbyist in Washington, D.C. where he met his wife, Adrienne, the mother of their three children. Troy can also be heard on Financial Focus with Troy Reinhart and Tyler Simones, Saturday mornings at 10 a.m., on KBND.